Billionaire Elon Musk said Facebook Chief Executive Mark Zuckerberg's understanding of the future of artificial intelligence (AI) is "limited", as the spat between the two tech bosses continues. On Sunday, Zuckerberg took to Facebook Live talking informally to viewers while at a barbecue. A user submitted a question saying how they had seen a recent interview with Musk in which he said his largest fear for the future was AI. Musk has been vocal about his fear of AI in the future. Earlier this month for example, he said that AI will cause massive job disruption and that robots "will be able to do everything better than us." The Tesla CEO has also advocated a policy of universal basic income to protect people from the fallout of AI disruption. Zuckerberg however, doesn't agree with Musk's view. 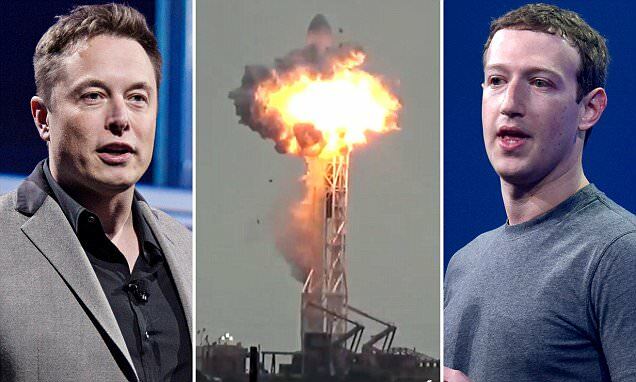 During the Facebook Live, Zuckerberg called doomsday scenarios about AI "pretty irresponsible". "I think people who are naysayers and try to drum up these doomsday scenarios — I just, I don't understand it. It's really negative and in some ways I actually think it is pretty irresponsible," Zuckerberg said. "In the next five to 10 years, AI is going to deliver so many improvements in the quality of our lives," added Zuckerberg. A Twitter user posted an article about Zuckerberg's comments. Musk, responding to the tweet, said that he has already spoken to Zuckerberg about this and that the Facebook CEO's "understanding of the subject is limited." Another twitter user replied that he should write a blog post, to which Musk responded jokingly that a movie on the subject is "coming soon". It is an unusually public spat for the two technology CEOs, neither of which have competing businesses. But it highlights the level of debate happening in the technology community over the future of AI. Musk has previously warned that humans will need to merge with machines or risk becoming irrelevant. And while the two might disagree on the impact AI has, Zuckerberg, like Musk, agrees with the idea of a universal basic income to help cushion any fallout from new technology.